The Tour de France is not only the biggest event in cycling, it is also the world's biggest and rightly regarded as one of the toughest annual sporting events. Three weeks of racing with daily rides of around 200km, climbing dozens of mountains in the Alps, Pyrennes and Jura whatever the weather mean, unsurprisingly, for many cycling professionals just completing the race is a life's ambition. Only the very best among cycling's elite can aspire to stage or overall victory. Riders at this level seek out opportunities for marginal gains. Investment in cutting edge equipment like carbon fibre frames and wind tunnel testing are now commonplace and for a time it looked as though doping was becoming so too. Happily new drug testing regimes mean the sport is much cleaner than ever before and the cheats do get caught. Cycling has changed and the pressures on young athletes to dope are not what they apparently were a decade ago. Now riders have begun to pay much closer attention to nutrition as the next frontier in marginal sporting gains. This is a smart strategy. The caloric demands on the body of racing bicycles at the elite level are high and riders regularly burn between 4000 to 9000 calories on a single stage of the Tour. Cyclists must eat constantly, even while riding. During the race they might start with sandwiches in the early part of a stage before graduating to energy gels closer to the finish. They collect musette bags filled with lunch goodies at designated feed-stations midway through each stage. In a three week event like the Tour de France riders will often explain how they are eating today to fuel their efforts tomorrow and the day after. Hunger flats are to be feared because they can detract from performances on more than just one stage. Hitting the wall today can ruin your chances tomorrow as well. So it is crucial to get nutrition right. Until recently, this was taken as meaning riders should eat lots of animal protein with meat a part of virtually every meal. Spanish former Tour de France winner Alberto Contador became the poster boy for this sort of diet when he was stripped of his 2010 Tour de France crown after failing a drug test. Contador claimed he ate a contaminated steak containing clenbuterol, a banned substance. Clenbuterol affects the body's muscle to fat ratios and has been fed to animals to gain leaner meats. Its use in livestock is banned in Europe and the US and its use by athletes is banned worldwide. Thankfully, cycling is at last becoming as innovative with diet as it has been with technology. And just as it was US riders in the 1980s and 1990s who pionered technological advances that are now a everyday parts of cycling – strapless pedal to shoe bindings for instance – it is an American who is changing the way cyclists think about eating meat. US time trial champion and former Tour de France race leader Dave Zabriskie became the first vegan to complete cycling's greatest race when he crossed the Champs-Élysées finish line of the 2012 Tour de France. Like any elite cyclist who raced through the 2000s Zabriskie has attracted his share of controversy, he is a former team-mate of Lance Armstrong, but there is a lot to like about him – from his love of Marvel comics which inspired his Captain America themed time trial uniform and nickname and one time Wolverine-style sideburns to his care for the environment which now drives his shift to a vegan lifestyle. This change did not happen overnight. As en elite athlete his diet is monitored by his professional team Garmin-Sharp (read employer) who were keen to make sure his race performances were not negatively affected by his decision. Zabriskie had bloods taken to determine his food sensitivities which turned out to include most meats and all dairy. So his new food choices are not only good for the environment but good for his health as well. Zabriskie gradually changed his diet, first cutting meat, then dairy and lastly eggs. 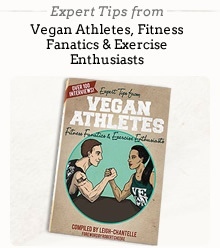 He sought advice too from other vegan athletes. Undoubtedly there are huge challenges for elite athletes in making this change especially in a sport where race locations change daily and can even cross borders. Zabriskie is still making the transition but with the support of his team he is managing to eat ethically and as for performance says he is “feeling great. My energy is up and I feel healthy”. The results speak for themselves – leading a breakaway on stage 6 of the Tour de France, Zabriskie narrowly missed a stage win but was awarded the stage's Most Aggressive Rider prize and after three weeks of racing he could still time trial in the top ten, finishing the final time trial stage over two and a half minutes faster than defending champion Cadel Evans. Zabriskie is a classy athlete who cares about the planet enough to change to a vegan lifestyle. He is now the first vegan to complete the Tour de France but the way he is racing there is little doubt he will become cycling's first vegan to win a Tour de France stage in the future. Considering Contador's experience with eating steak before a race, it looks like Zabriskie's nutritional strategy might be smart as well as ethical. It is just a shame Dave Zabriskie will not have the Wolverine side-burns when he wins his next race. Ronan Lee is a political consultant and former Greens MP and adviser. He has traveled extensively in Burma, observing the 2010 elections and meeting Aung San Suu Kyi in the days following her release from house arrest. A long-time vegetarian he advocated in Parliament for people to eat less meat because of the environmental benefits associated with this. He blogs and sometimes tweets.